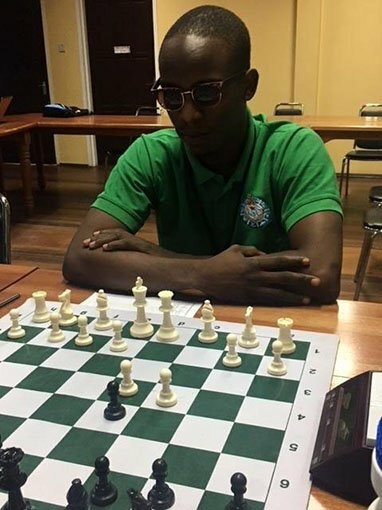 We have a fair idea of the composition of the team that will represent Guyana at the Chess Olympiad in Batumi, Georgia in September. The hopefuls have directly chosen themselves. In whichever way the equation is juggled, names which had emerged previously, keep re-emerging. Our two national champions: Wendell Meusa and Maria Varona-Thomas, are constants. At the recent Clash of Champions tournament, Meusa faltered when he dropped a game to a theoretically equipped Loris Nathoo and drew with the improved Roberto Neto. On the other hand, Yolander Persaud executed her moves flawlessly, winning her full quota of games. 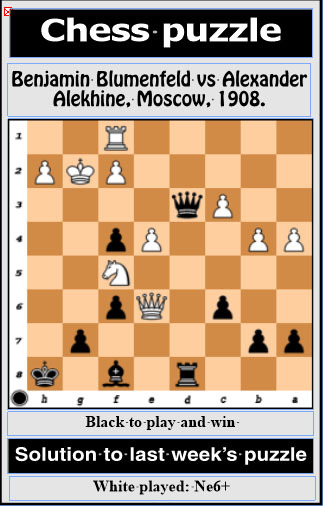 Admittedly, in chess, losses and draws occur, no matter how strong a player happens to be. That Persaud played flawlessly, is assuredly commendable. In Varona-Thomas’s case, she is way ahead of her female counterparts in chess acumen. I was pleasantly surprised when Alli held Varona-Thomas to a deserved draw during the National Chess Championship. 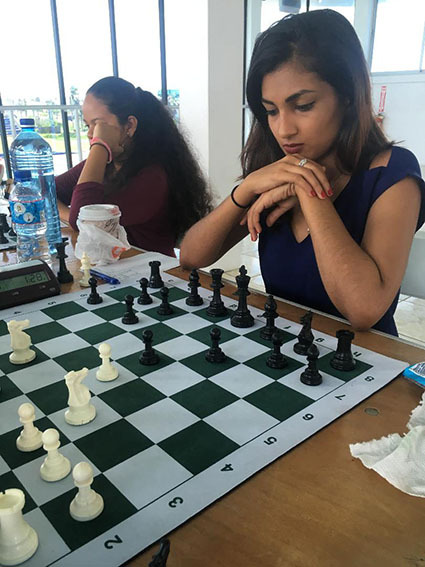 Over the past two weekends, attorney Yolander Persaud played undefeated in the women’s category of the Clash of Champions chess tournament. She obtained victories in a double, round-robin contest featuring Waveney Johnson of Christ Church Secondary, Chelsea Juma of St Stanislaus College and Sasha Shariff of Marian Academy. FIDE Master Maria Varona-Thomas and Candidate Master Sheriffa Alli did not play the tournament. 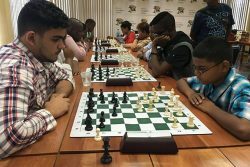 Chess is improving in Guyana. There are new and dedicated entrants to the ancient game. 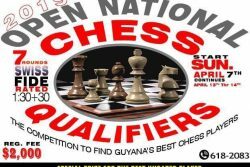 This is evident whenever the Guyana Chess Federation sounds the bell for the start of a tournament. 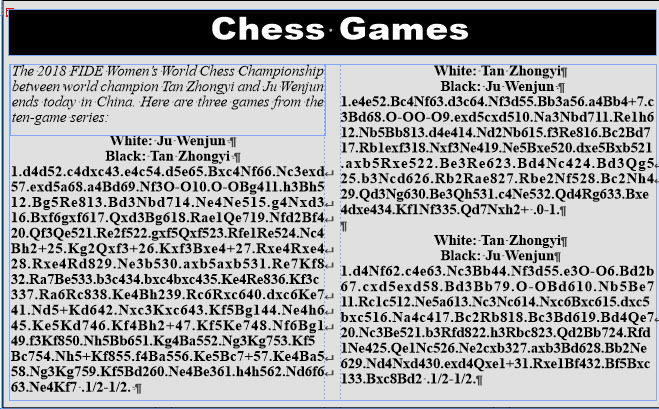 This column supports the idea that chess should be a lifelong fulfillment for the competitive spirit. Devoted parents may have discouraged their children from taking chess seriously, preferring that they concentrate on academics. Time was when chess was fit only for neurasthenic gray men. Today, it is felt that chess complements academia. Suddenly, one of the ways to live comfortably, is to play competitive chess; although you have to be extraordinary to create international waves. 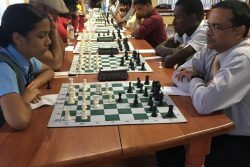 But for now, at least, chess can work for you in Guyana. It is attractively refreshing. Similar to the belief held by the late, great Bobby Fischer, Nathoo feels that a tournament is an inaccurate test of a player’s consummate chess ability. As a result of Fischer’s repeated urgings, the World Chess Federation (FIDE) had changed its current system and eliminated the Candidates Tournament, replacing it with matches among the principals. In similar fashion, Nathoo has noted that the crowning of a national champion should be more elaborate than that which obtains currently. For example, as part of the National Championships, for both the women and men, the two most successful contenders should play a match and the winner of that match should be declared national champion. In such a manner, the most accurate and credible player would be crowned. Eventually, he said, the new method would pay off with improved international results.